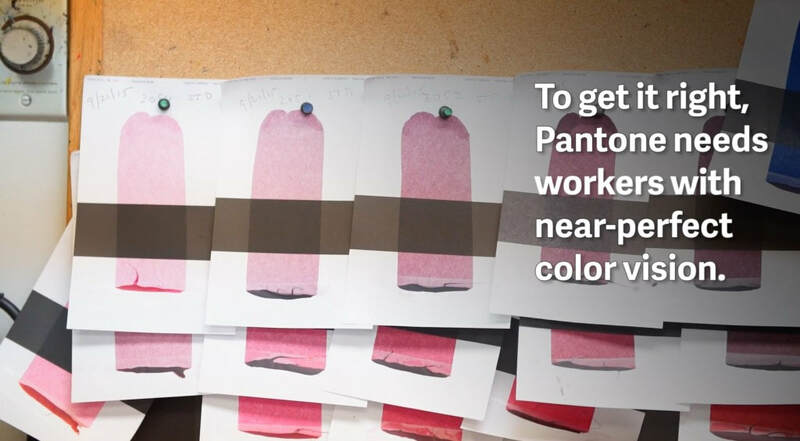 In class we watched "The Color Factory" video about the professional color scientists at Pantone. In the video they talked about having to take a test yearly in order to stay employed at the factory. The test they take is a standard for those who work with colors daily, and a single testing kit is about $750.